I have been an empath since birth. An empath has heightened keen perception of other people’s true feelings, physical pain, illness, mental condition and their deepest intentions even if they’re hidden. An empath can spot a liar in a crowd and always read between the lines of what people say. It can be thoroughly draining and some empaths have been known to take on the physical ailments of the people they encounter, such as headaches, rashes, stomach troubles or anything else they cannot find causes for other than exposure other people. There have been days when I have unexpectedly and suddenly become violently sick for no reason, only to have the symptoms disappear as quickly as they appeared when I find out someone I care about was sick or there was some disaster in the world. I get migraines and nausea that coincide with severe earthquakes, tsunamis, hurricanes and plane crashes. Managing my empathic nature has been incredibly challenging and I’ve suffered with fatigue and bodily pain for years as a result. I daresay it’s much easier to be a medium, having the ability to communicate with spirits, than it is to be an empath on top of it, absorbing the feelings of both the living and the dead. I’ve sought help from other more experienced mediums and empaths, and gone through training to control these abilities and set personal boundaries so I can function in regular society. Even after all the counseling, training, etc., from more experienced practitioners, I still find myself blindsided and struggling from time to time. Today I went shopping at a local fabric store and a craft store next to it so I could buy things for my Marie Antoinette costume for Halloween. I’m still getting used to my new wheelchair and making sharp turns in confined spaces has been difficult. Somewhere between the beads aisle and ribbon aisle, I bumped into a woman by accident, upon which brief apologies were exchanged. Even though she got hit with an obnoxious mechanical chair operated by a petite redhead, she barely glanced my way. She was distracted. She was in deep emotional pain, which had helped along a migraine in her this morning. Usually I’m good at ignoring other people’s “issues” because I keep myself fairly protected but I also count on the fact that people typically don’t get close enough to physically touch me. I’m not a hugger. I’m not affectionate. My personal space is very important to me because it’s the only way I can control my empathic tendencies. Struggling with my new wheelchair, however, has left me open to bumping into people and, unfortunately, being touched. I came home feeling disoriented and, lo and behold, took on that damn migraine. I spent the afternoon in bed, useless to the world. My grandmother said she tried to wake me but I was unresponsive. That’s what happens when I soak up other people’s negativity. My body goes into this hibernation coma thing that I can’t explain. I don’t enjoy it in situations like this, but for whatever reason, I do these things beyond my control. It really gets in the way when I meet new people but they don’t know what I am and I unintentionally read them. Imagine how interesting meeting celebrities is with this little annoyance. I always feel like I’m invading people’s privacy. I’m tired today. I don’t want to be an empath today. Tomorrow? I’ll be better tomorrow. I never really have a choice but to just get through it. Tomorrow is the ninth anniversary of the worst attack on America in our history. I have been extremely bothered by the amount of hatred and partisan sniping that I have seen in the last few weeks leading up to the anniversary. True, the hatred and partisan sniping has been an undercurrent within our culture since the moment the first plane struck the World Trade Center, but it has become so venomous in the last few weeks that I’m losing hope in the American people. The unity we displayed in the weeks after the attacks is but a distant memory. Us vs Them is the way things are once again. I was able to tune out most of the negativity until Reverend Terry Jones in Florida decided to hold a rally on 9/11 in which the Qur’an would be burned. My immediate reaction upon hearing that was to say, “I’m ashamed to be a Christian sometimes. Shall we reinstate burning people at the stake? How about passing the Malleus Maleficarum through Congress too! Way to go, America…” A few people spoke to me about taking a stand and how Islam hates America and so forth. I find it horrifying that this alleged modern, enlightened society will so willingly condemn and persecute an entire group of people with the enthusiasm of a Puritan witch hunt for the unspeakable crimes of a small sect. I was told that Islam principles teach that if you are not Islamic, you are condemned because it’s the only way. I find it ironic that Christians are saying that with upturned noses when I was just told by a Christian a few weeks ago that my beliefs aren’t real because, “Jesus Christ is the only true way.” How can so-called Christians hate Islam so much when there are just as many radical Christians willing to commit terrorist acts and kill people for their misguided convictions? What about Christians slaughtering millions of Native Americans and believing it was their God-given right because Native Americans were heathens? Pot, meet kettle. I have become so weary of people fighting and killing each other over religion because everybody believes their religion is the only right one. The fact of the matter is nobody can prove they’re more right than anyone else when they can’t even prove that God exists at all. I don’t believe anyone is more right than anyone else when it comes to religion and I believe that God weeps for people who kill in His name. God is love. God is not murder. I’m weary. I’m so exhausted by all of the we’re right and they’re wrong attitude. I wouldn’t be so tired and angry about the Christian vs Islam fight if both sides weren’t so dead set in the, “I’m right and you’re wrong,” attitudes. Every religious group on this planet has nut jobs. What about Christians blowing up abortion clinics and killing innocent people? What about Hitler and his henchmen killing six million Jews in World War II? America has always needed bad guys to hunt. Right now the torches and pitchforks are pointed at anybody who looks remotely Arabic even though the vast majority had nothing to do with the 9/11 attacks. But please, by all means, let’s burn the Qur’an and hate all of them because they all look scary now. I take serious offense to the anti-Islamic movement in this country at the moment. I live with a Muslim and I know many others. Not one of them has a desire to hurt a fly. Don’t judge an entire race or religion until you get to know them personally, understand what they’ve been through, and realize that you’re more alike than you think. Radical Muslims distorting their religion to kill thousands are not the same as normal everyday Muslins, just like radical Christians distorting their religion to kill thousands are not the same as normal everyday Christians. I’m frustrated by the lack of healing in the nine years since over 2,000 people were killed. Look at the faces in this picture. They should be the focus of tomorrow’s anniversary, not prolonging the human weakness of hatred. I have dedicated my life to helping humanity grow in spirituality, doing my best in the last decade to teach such basic principles of the soul: Generosity, Tolerance, Honesty and Self-Appreciation. These principles are not “religious” but spiritual, which is higher than any divided religion. 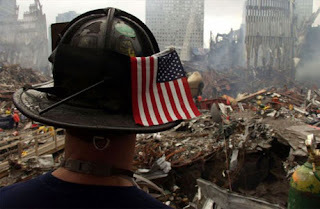 As much as I’ve worked, as much as I’ve tried to touch as many lives as possible, I look at things like the war still raging over 9/11 and I become disillusioned, thinking the human race really hasn’t made any progress at all. We have the best technology, the best medicine, people are living longer than ever, yet our attitudes about religion and going on these witch hunts are so very medieval that it makes me wonder if we’re ever going to evolve. I have thought long and hard about how I will spend the ninth anniversary of the 9/11 attacks. The majority will be vocal, making a lot of noise about various political agendas. Some will go on about conspiracy theories and try to expose the “truth”. A few radicals will burn the Qur’an as if it will accomplish anything beyond plunging the sword of hatred further into the collective heart. I will do none of these things. I have elected to spend the anniversary in silent contemplation from sunrise until sunset. I will not use Facebook or Twitter. I may not even use the computer at all. 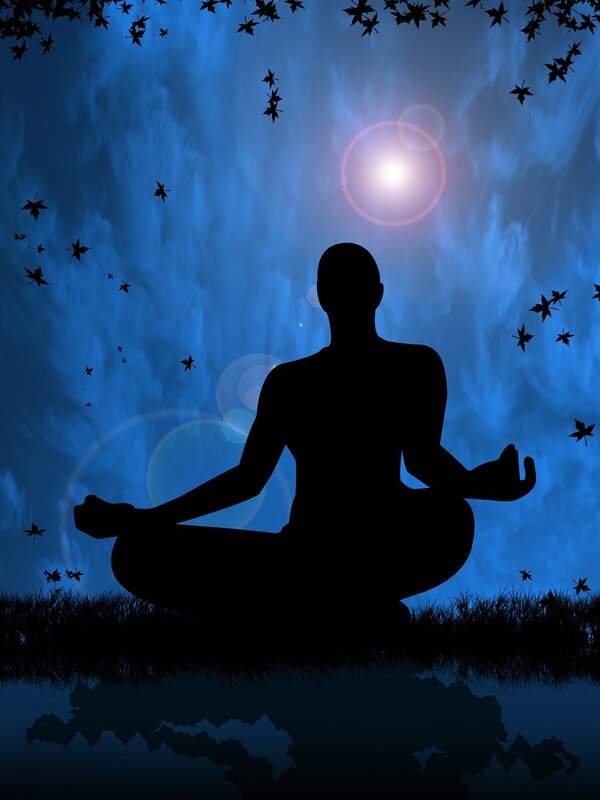 I will meditate and I will reflect on what 9/11 has really taught me and I can only do that if I shut out the noise of everyone yelling at everyone else. Not only that but I will use the silence to read and think ahead about how I can further teach people in the way that I have been for years. I want to realize how else I can be of a meaningful addition to this society. Life is not to be wasted. 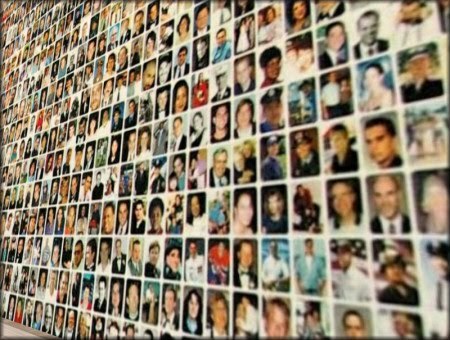 If the victims of 9/11 had their lives back again, how do you think they would be changed by their murders? I suspect they would use the gift of life to make the world a better place. What really matters? 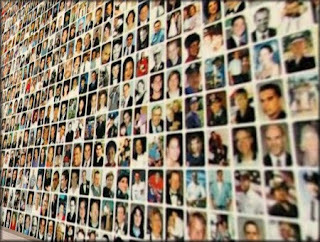 Political agendas or the 2,000+ mothers, fathers, daughters, sons, Christians, Muslims, Jews, etc., who lost their lives that day? If you were going to die tomorrow, what would matter to you? I suspect politics, hatred and bitterness would fall at the wayside. I am an American. I am a Christian. I refuse to perpetuate hate. Any true Christian knows that God teaches love, not hate. Any true Christian knows that it is God’s law to love thy neighbor as thyself and to judge not lest ye be judged. I encourage everyone to consider these ideas tomorrow instead of spewing venom.